Commercial acreage in Jacksonville, North Carolina. Lot is adjacent to flourishing Western Boulevard with access to a stoplight. 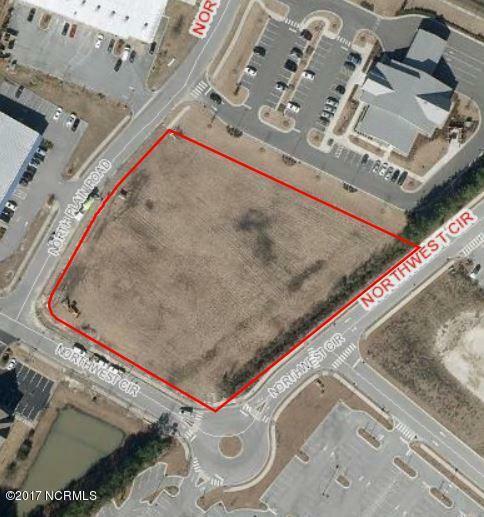 Lot is located in front of a Marriott Hotel and a brand new Carmike Cinema. A brand new neighborhood Wal-Mart is on opposite side of intersection. Area also has a Buffalo wild Wings, Krispy Creme, Old Chicago Pizza, Batteries Plus.......the list goes on and on. Don't miss out on the last undeveloped lot in the Northwest Business Park before it is gone!